Memorial Day marked the fourth anniversary of my arrival in the state of Georgia, and it was also four years ago that I began learning the Korean language. Although I’ve learned a lot, I know that I could be much farther along in the language if I had applied myself during those four years. Language learning is tricky, and often something that you can’t rush. However, you can make significant progress if you make time every day for study and practice, and get some momentum going. And that’s what my goal is for the summer of 2016. From June 1st through August 31st, I will be intensively learning the Korean language. The well-known Irish polyglot Benny Lewis has done several language missions in which he goes from essentially zero to reasonable fluency in 3 months, so I figure if he can do that, I can definitely go from an intermediate level to fluency in 3 months! For 79 days (I’m taking Sundays off), I will study and practice Korean for at least two hours every day. I estimate my current level in the language to be A2, and my goal is to reach level B2 (CEFRL). In the last few months I have become lazy with my language learning, but no more! Too many times I have taken the easy way out and spoken English to Korean people, but from here on out, I am enacting a strict no-English policy when talking to Koreans. 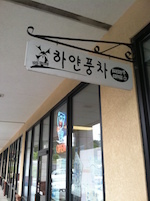 Also, I essentially live in the Koreatown of Georgia, but I have not really taken advantage of this opportunity to practice speaking Korean. This summer I’m going to go out of my way to put myself in this immersion environment more often. I will be making mini missions along the way, to have smaller achievable goals to tackle. I will also try to identify which aspects of the language are giving me trouble, and solve those as quickly as possible. If you would like to stay updated on my progress during these 3 months, why not follow me on Instagram? I will be posting at least one picture every day to document my language learning adventures. Another language mission has come to a close: Conversational Nahuatl in Four Months! I was travelling in a Nahuatl-speaking part of Mexico during the last week of November, and based on how well I met my goals, I would say it was a success. I wasn’t too sure before the trip–my plans to speak Nahuatl with my neighbours every other day fell apart as more pressing duties commandeered my time, but nevertheless I can say that my experience in Mexico was very much enhanced by my speaking Nahuatl. One of my goals was to preach a sermon in Nahuatl, and that was accomplished in La Soledad, Mpio. 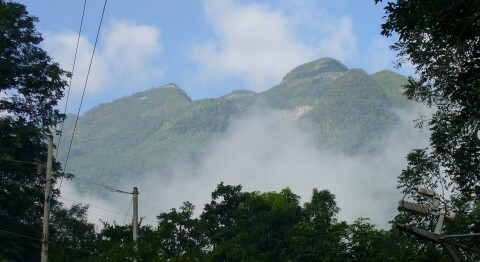 Tamazunchale, S.L.P. I relied quite a bit on my outline and notes, but when I think about it, it was comparable to the first time I preached in Spanish, and I believe that the message from God’s word was heard and understood. I realize that I titled this post in such a way that might lead you to believe that I have been posting an update every week. And while I have certainly not done that thus far, I am going to begin this practice, mostly to ensure that I work hard to make sure there is something to report each week. Yes, it’s week 12 of 17 in my mission to reach a conversational level in the Nahuatl language, and I would say it’s going pretty well. I’m not as far along as I would like, and I will blame that on a responsibility I took on to teach a Bible class on the prophets every Wednesday night. This has been taking up a lot of time, and while I don’t regret the decision, I do wish I had more time to devote to Nahuatl. Be that as it may, I have been practicing on a regular basis with my Nahuatl-speaking neighbours. I set for myself the rule that at least every other day I will speak in a non-English language (preferably Nahuatl), in a conversation that is more than exchanging pleasantries. I’ve stuck to this, but it may be time to step it up, either by doing it more often, or setting aside time to sit down with native speakers and have an extensive dialogue more often. I began learning Nahuatl five years ago, and up until this mission, I had just been studying the grammar off and on. As a result, I have a good knowledge of how the language works; I just need to work on proficiency and listening comprehension. Some of my neighbours talk rather fast, and it takes them repeating it a few times before I catch on, but that is just a stage in learning the language—I remember when I was there with Spanish. So I have five weeks left to become conversational in Nahuatl, and that also means that in five weeks I will be traveling south to Mexico! I am very excited. It’s one of my favourite parts of the world, and I haven’t been there in two years. That’s what my Mexican friend said, at least. Add to that the French proverb, “Une personne qui parle deux langues vaut deux personnes,” and I’m on my way to being quite valuable! At any rate, I’ve got Nahuatl on the brain (a good thing, by the way), and I thought I would explain something that few know about this enigmatic language. You see, it’s actually a bit misleading to refer to Nahuatl as a language, because it is actually a family of closely related but widely varying dialects. Back during the Aztec Empire, Classical Nahuatl was the lingua franca of the meso-American peoples, but after the conquest, Spanish took control, and even though people still spoke Nahuatl, it started to fragment due to its relegation to a local instead of national language. That’s why today we see a great many dialects of Nahuatl scattered across the nation, and some vary to the point of being mutually unintelligible. Of course the classification of these dialects is somewhat artificial, a thing invented by curious linguists. I have been studying Western Huasteca Nahuatl (NHW), because that’s what they speak in the Huasteca of San Luis Potosí. There is another very closely related dialect to the east, called by the linguists “Eastern Huasteca Nahuatl” (NHE). When I first started talking to the Nahuatl speakers here in Georgia, I immediately noticed that they didn’t talk quite the same way as I was used to. For example, to say “I don’t know” in NHW, you would say Amo nijmati. However, these folks are from the state of Hidalgo, and they say Ax nijmati. From my studies, I thought that the use of ax instead of amo was a sure sign that these people were speaking the eastern dialect. I was OK with learning a different dialect, although I somewhat dreaded having trouble switching back and forth when I actually went to Mexico. But I am happy to report that upon further conversation, I have discovered that my Hidalgo friends’ language is much more western than eastern. This only goes to show that those lines linguists draw between dialects are somewhat arbitrary, and certainly not objective. I have a map in one of my Nahuatl books that shows such a line, with a different shade for each dialect, but I imagine it is actually more of a gradient. And in the case of my friends from Hidalgo, their speech uses elements from both dialects. I hope that didn’t bore you; personally I find it fascinating! Stay tuned for more news from my Nahuatl adventure in the near future. When I decided to move to Georgia, I knew I wasn’t just moving to another culturally homogeneous southern city. I had been there, and seen all the Koreans and their many Hangul signs along the roads. I fancied myself as moving to a mini Korea, where I could immerse myself in their culture and learn a lot along the way. I was right, but I also far underestimated the linguistic diversity of this Atlanta suburb. Let me tell you about this place where I live. When you turn off the main highway through town to get to my apartment complex, you’ll see a shopping center with business names in Korean, Spanish, Chinese, and English. When I walk to work every day, I hear Spanish, and go past signs in Chinese and Korean. But this is only scratching the surface! Go into some of the apartments of the Mexicans who live here, and a whole new linguistic world is revealed. Many of them speak Nahuatl, and others speak Mixtec, Otomi, and various other indigenous Native American languages. Yes, if I was looking for Multilingual U.S.A., I have found it! But very soon I found out I was mistaken, and I have just returned from my next door neighbours’ apartment where nearly everyone speaks Nahuatl, with much encouragement, and a promise that I can come by any time and practice! Because I live in a place where Nahuatl is spoken, I can actually add this language to those that I use on a daily basis, and not just whenever I go to Mexico (once or twice a year). As I mentioned in my previous blog post, I am really busy right now with preaching, teaching, and website building, but I know I will make time for what’s important to me, and if I’m motivated enough, I can be conversational in Nahuatl by November. ¡Ma tiyakaj!